Fenbendazole is the active ingredient present in this oral treatment. 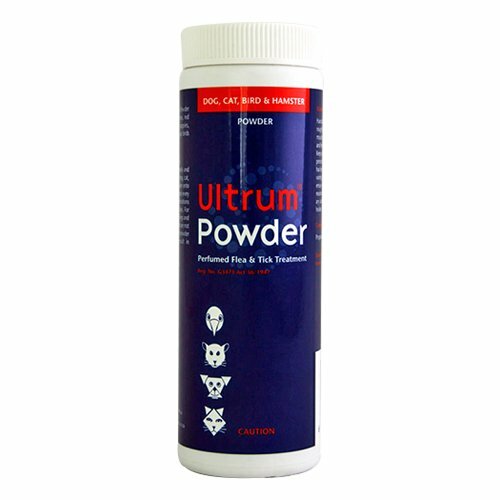 It is effective against wide array of worms including: roundworm, tapeworm, whipworm and hookworm. 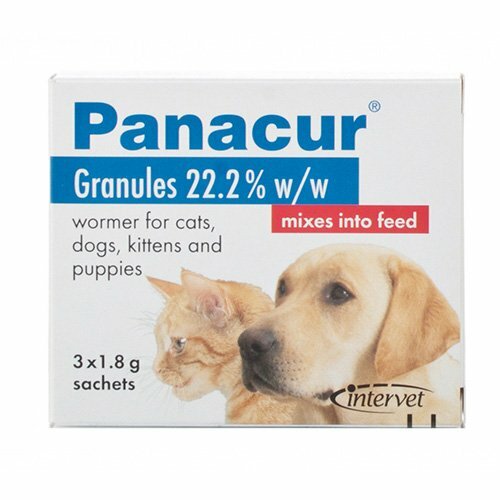 These worms cause gastric diseases in pets. With the aid of this ingredient, the energy metabolism of the disease-causing parasite is obstructed which assists as an instant remedy against gastrointestinal and respiratory tract infections. 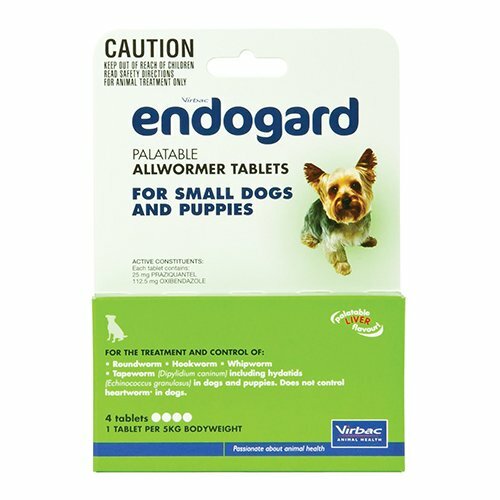 This active ingredient is quite effective against gastrointestinal infections in puppies, kittens, dogs and cats. 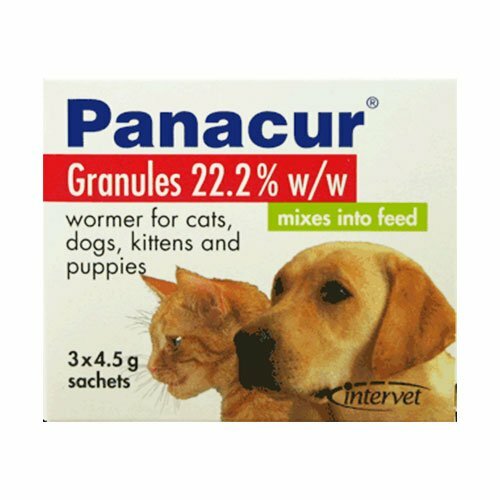 Panacur Worming Granules comes in sachet form that is used to treat gastrointestinal roundworms and tapeworms in puppies, kittens with gastrointestinal roundworms and puppies infected with protozoa. 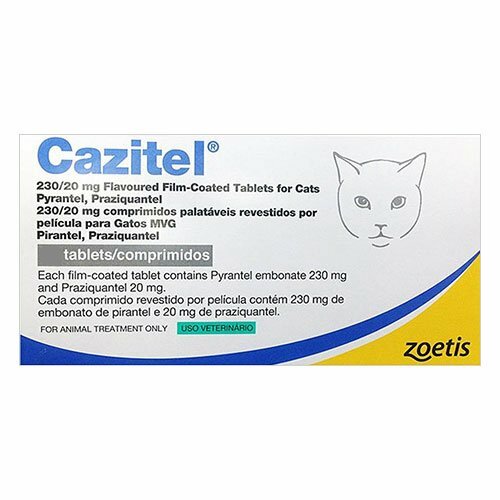 This oral treatment is also used to reduce prenatal infections of Toxocara canis in pregnant dogs and their transfer to their pups through milk. 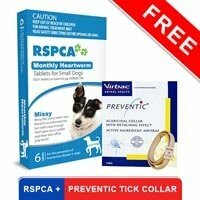 This is a single dose treatment that needs to be repeated when natural re-infection with parasitic worms occurs. It is advised to carry out routine treatment of adult pets 2 to 4 times every year. It comes in three sachets of 1g, 1.8g or 4.5g of granules. 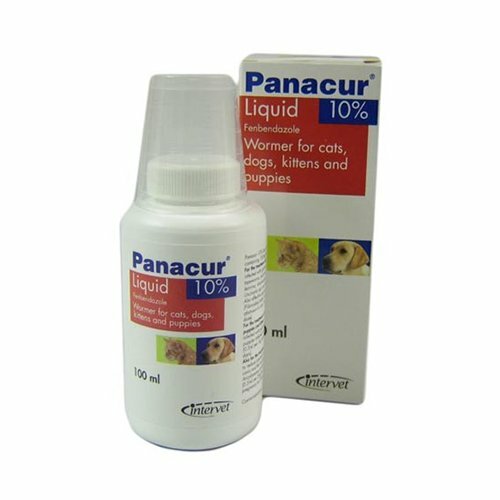 Panacur should be given as a de-wormer to all the pups and dogs out there as this is the one I found out that treats lungworms apart from intestinal worms. It worked well for my pooch and I hope it does on all..
22 of 31 found this review helpful. 19 of 39 found this review helpful. I have used this product before on our small dog. It is easier to give as he hates pills and hey are hard to give him. It is a very good product! 290 of 353 found this review helpful.